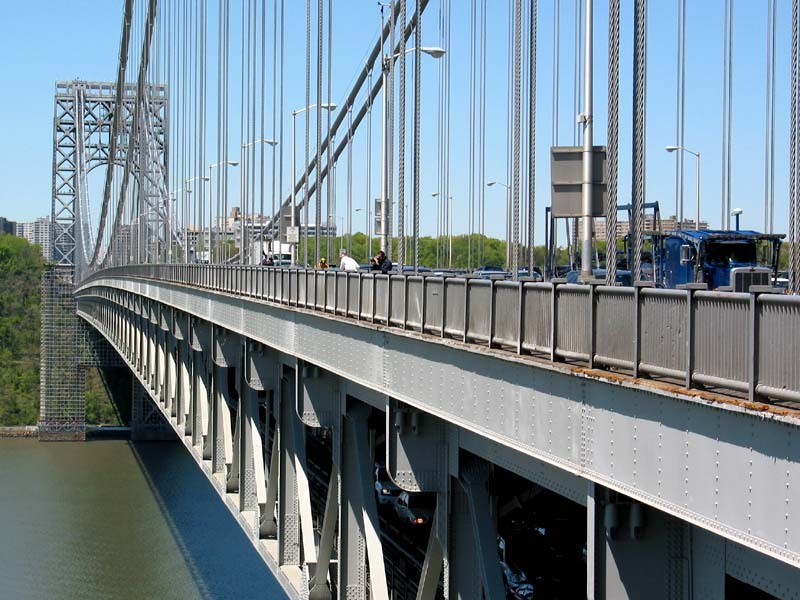 The two-level George Washington Bridge (GWB) crosses the Hudson River between upper Manhattan (West 178th Street) and Fort Lee, New Jersey and forms part of Interstate Highway I-95. This suspension bridge was designed by Othmar H. Ammann who was the Port Authority's Chief Engineer during that time. Ground was broken for the original six-lane bridge in October 1927. The Port Authority opened the bridge to traffic on October 25, 1931. In 1946, two additional lanes were provided on the upper level. In New Jersey, the roadways leading to the bridge provide maximum flexibility permitting motorists to use either the upper or lower level. Two four-lane approach and departure roadways connect to the upper level, with connections to and from the lower level via two three-lane tunnels through the Palisades. The New Jersey approach system provides connections between both levels of the bridge and highways US-1, US-9W, US-46, NJ-4, I-80, I-95 and the Palisades Interstate Parkway. The twelve-lane Trans-Manhattan Expressway, extending eastward from the bridge to the Harlem River between 178th and 179th Streets, connects both levels of the bridge with Amsterdam Avenue, the Harlem River Drive and the 181st Street Bridge over the Harlem River. The Expressway connects directly with the Alexander Hamilton Bridge, which spans the Harlem River as part of the Cross Bronx Expressway (I-95), and the Major Deegan Expressway (I-87). 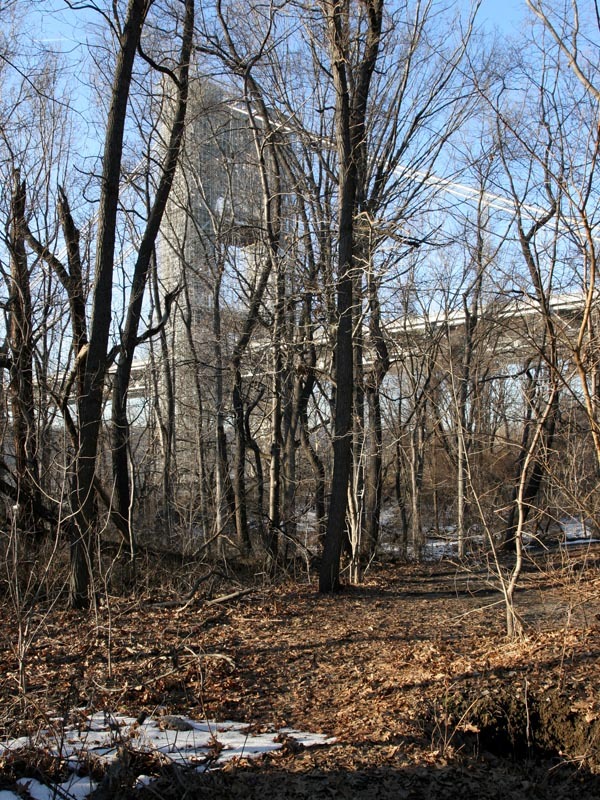 Both the upper and lower levels connect to the Henry Hudson Parkway and Riverside Drive on the West Side of Manhattan. Sidewalks are available to the general public on both the north and south sides of the bridge. In New Jersey, the sidewalk entrances are located on Hudson Terrace in Fort Lee. In New York, the south sidewalk is located near the corner of 178th Street and Cabrini Boulevard. The north sidewalk is located near the corner of 179th Street and Cabrini Boulevard. Under the George Washington Bridge. February 2005. The pedestrian walkway of George Washington Bridge.